I just received CABANA MAGAZINE's Issue 8 as a gift from a dear friend who knows my weaknesses quite well. I've been meaning to simply subscribe, however I keep setting out on a mad mission to Barnes & Noble each time another issue is released, in a frenzy to devour and examine every inch of the publication. The bi-annual international interiors magazine is based in London and printed in Italy. At the top of the masthead is founder & editor in chief, Martina Mondadori. Raised in Milan, Martina had a colorful upbringing by influential parents who had distinct passions for travel, obsessive collecting and living to inspire. Each issue feels like its own art piece with a heavy handle and cover that is almost always destined for a feature at The Louvre. Issue 8 is no disappointment as it was made in collaboration with Ralph Lauren. It comes in 5 different cover fabrics, all Ralph Lauren. Above is mine, sitting on top of my new sheepskin from Farmhouse Pottery. 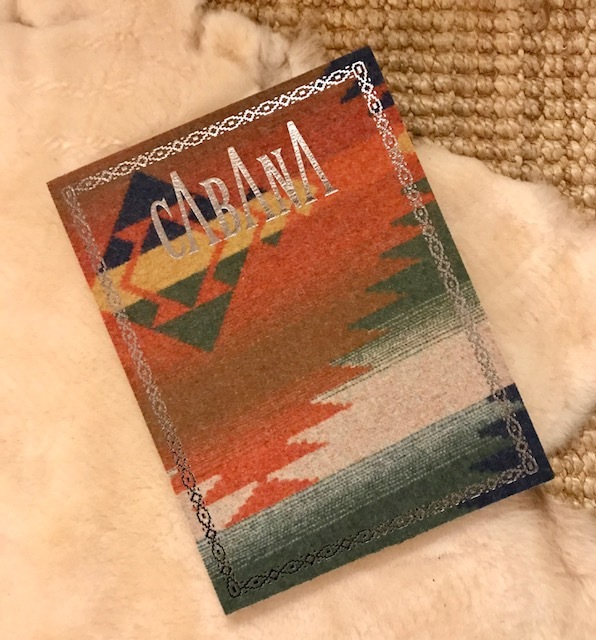 As the UK's Newsstand proclaims: "Absolutely wonderful, so much inspiration for anyone looking at top quality home decoration and if you like the finer things in life, you really will love Cabana. A Print Peach."